Sometimes it’s hard to figure out what information to believe when it comes to Vegas nightclubs. From websites to forums, people are spewing their experiences left and right. So how do you know if what you’re consuming is fake news or if there’s some real wisdom in what you’re reading? Well, have no fear, Vegas Primer is here! We’ve assembled our collection of the most common Vegas nightclub misconceptions. And today we’re busting 31 Vegas nightclub myths once and for all! Before we get started though, I want to welcome you to our site. My name is Jenna Phillips, and I’m the head writer for Primer and an Independent VIP Host. 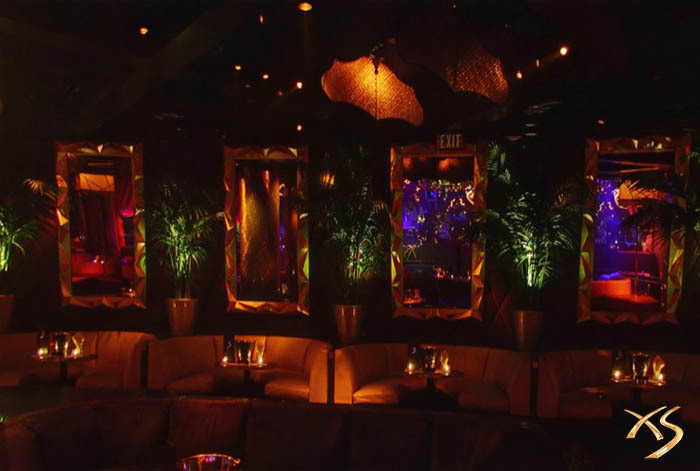 Our team has over ten years of bottle service experience in Las Vegas. If you’re interested in making a table reservation at a pool party or nightclub, feel free to contact us. We book tables at all the clubs in town. For a bottle service price quote, text us at (702) 816-6738 or email us at info@vegasprimer.com. 1. Only “young” people go to Vegas nightclubs. I can’t tell you how many people in their 30s and 40s that I hear say “I’m too old for a club.” First, let me start by telling you that you’re not too old if you’re in this age range. And second, you’re not too old if you’re outside of this range either. Your age doesn’t matter. If you want to go to a club, Vegas will welcome you with open arms. Still not convinced? Well then, here are some fun facts that might change your mind. Parents frequently bring their 21-year-olds to Vegas nightclubs to celebrate their birthdays. Bill Gates went to a Vegas club a few weeks ago (he’s in his 60s). Now sure, some clubs (like XS or Omnia) may skew younger because they feature talent that tends to be popular with that age demographic. But you’ll also find Vegas nightclubs like Hyde, Apex, and On The Record that attract a more mature audience. The rest of the clubs fall somewhere in between and offer a nice mix of ages without skewing one way or the other. 2. Ghosting your host is an acceptable way to cancel a table reservation. I get that a lot of people are conflict-avoiders (me included, I’m working on it). But let me calm your fears by stating that your host won’t be upset if you need to cancel. Giving notice of your cancellation is merely a common courtesy that every bottle service guest should follow. To explain further, when you don’t cancel a bottle service reservation, and instead give your host the silent treatment, you’re not only hurting the VIP host, but you’re harming the club. The Vegas nightclub is holding a table thinking you’re going to show. If you don’t, then they may miss out on selling the table to someone else resulting in a loss of thousands of dollars. Not only that, but you may be blocking a table for other people to enjoy who are ready to purchase bottle service. Of course, we all know that unforeseen circumstances may prevent a person from canceling. The majority of the time though people are capable of letting the club know they won’t be attending. Additionally, not letting your host know may result in other unintended consequences as well. For one, the host may not want to work with you again and two, the club might not either if you’re a repeat offender. Now canceling before 9 pm is ideal as this is when some Vegas nightclubs begin plotting table locations for reservations, but any time before club opening (10:30 pm) is considerate. And if it’s later than that, you should still let your host or the club know. 3. Guys can’t get into clubs for free. Alright, there’s some degree of truth to this myth. 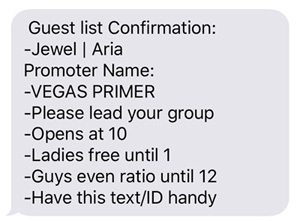 For example, at the majority of Vegas nightclubs, guest list reservations are for women only or guys with at least an even ratio of women to men in their party. That said, there are a few clubs in town that offer a guest list for guys (without the requirement to have women in the group). To give you an example, on most nights throughout the year, Light Nightclub has a guest list for men. The Bellagio nightclub typically offers one as well. And occasionally, you’ll find clubs like Hakkasan offering a guest list for guys, but that’s usually only during the slower months in Vegas (November – February). There’s one thing you’ll want to be mindful of though if you’re a guy and you’re on the guest list at one of the clubs mentioned above. Entry will only be available for a short period. Most likely the cut-off time will be 11:00 or 11:30 pm at the latest. And that doesn’t mean you can arrive at the last minute either. You’ll want to get to the front of the line by the cut-off time to make it inside the club without paying a cover charge. 4. You have to be hot to get on a Vegas nightclub guest list. This myth is complete BS. There’s no requirement to have a specific look to get on a nightclub’s list. And you certainly don’t need to send a photo of yourself to a promoter or follow them on Instagram either. 5. Bottle service reservations can arrive when they want. I totally get that everyone wants to make an entrance at a club and not be the first ones there. But trust when I tell you that it’s much more beneficial to arrive at club opening (10:30 pm) than an hour or two later. Case in point, most Vegas nightclubs operate on a first come, first served basis. That means the sooner you arrive, the more likely you are to get a better table location for your minimum. Now you may have heard that some clubs plot tables in advance (which is true), but it’s not always set in stone. Table plots can change based on who’s arriving (or who has canceled). And this may come as a surprise – it’s possible for more than one group to get plotted at the same table. Essentially, whoever comes first, wins. Now if you arrive too late though (like after midnight), then there may not be tables left in the section you wanted. Or it’s possible the club will sell out entirely. Clubs will not hold tables all night even if you have a reservation. Take, for instance, my own experience. Before I became a VIP host, I was at the Cosmopolitan nightclub with a group of friends. We had made a reservation in advance and booked a back wall booth for the night. But when we arrived around midnight, we ended up getting sat in the Salon section of the club. Now although the Salon room is technically in the main room, you can’t see the DJ from here because it’s tucked in a corner somewhat away from the action. It’s still a decent spot, but entirely different from what we were expecting. We asked our host if we could switch tables, but we were quickly denied. He explained that because we took too long getting to the club, Marquee had already sold out of all the back wall tables. Vegas nightclubs are in the business of making money, and they reward people that show up on time. Arriving on time (10:30 pm) will give you the best chance of getting the table location you want. 6. Table reservations don’t have to wait in line. We get that nobody wants to wait in line, but there’s no such thing as a no wait entry when it comes to Vegas nightclubs. Sure, bottle service guests have a dedicated line for club entry, and it’s usually “expedited” but how expedited depends on what time you arrive. Generally speaking, the sooner you get there, the shorter the wait. Also, getting into a Vegas nightclub is like going through security at an airport. Everyone has to go through the same process which includes an ID check, signing paperwork (yes, really) and a security checkpoint with metal detectors, pockets, purses, and sometimes even shoe checks. Expect this process to take about 10 minutes once you’re at the front of the VIP line. Now some clubs may offer a line skip option. Of course, there’s usually a cost for this. You’re certainly welcome to ask a host at the door when you arrive at the club if there are any skip options available that night. Line skips are especially worth it during the summer months as this is when bottle service lines are at their longest. But again, skipping will only move you to the front of the table line. You’ll still have to go through the same security, ID and paperwork process as I just described. If you want to minimize your wait time and not pay for a line skip, then the best option is to arrive as close to club opening as possible. 7. You can skip the security line. As I touched on above, security at Vegas Nightclubs is like TSA at the airports. Everyone must go through the line. And if you’re reading this thinking that you’ll get away with whatever it is that you’re thinking about doing, you might want to reconsider. Security is exceptionally tight, and I’ve even seen guests get arrested on multiple occasions. That’s not to say though that the Vegas clubs aren’t safe as they most certainly are. It’s just that some people are trying to pull some stuff they shouldn’t be doing. 8. International guests only need to bring a government-issued ID. This myth gets people every time. Most clubs’ fine print states that passports are required for entry if you’re not a US citizen. Now there are a few Vegas nightclubs that will leave it up to the security team to decide if they’ll accept a non-United States issued identification card at entry. Sometimes if security is familiar with a particular country’s ID and can tell it’s authentic, they’ll let you inside. Other times, they won’t. Our stance is that it’s best not to risk it. We recommend that all non-US guests bring both forms of identification (government-issued ID and passport) just in case. And unfortunately, copies of passports aren’t acceptable. Also, if you happen to forget your passport and you get turned away at the door, please keep your cool. Getting angry won’t help the situation, and the club may decide not let you into the venue even if you go back and get your passport. Vegas nightclubs have the final say as to whether or not they let you in, so it’s best to stay calm. 9. Spending your bottle service minimum on single drinks is totally cool. Look we get it, bottles are pricey. And cocktails from the bar are more reasonable. But if you have a table reservation, the nightclubs don’t want you ordering only drinks unless you’ve made at least one or two bottle purchases. What the Vegas nightclubs want to avoid is having their cocktail servers running back and forth from the bar with drink deliveries. That’s not what the servers are there for – they’re there to serve the tables. Simply put, bottle service is for bottles. 10. Vegas Nightclubs look the other way when it comes to bottle service and drugs. I’m not sure where this myth came from, but a lot of people think that nightclubs are okay with people doing drugs as long as you have a table reservation. This couldn’t be further from the truth. 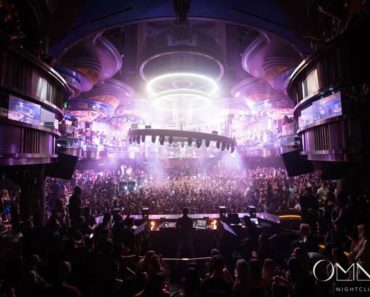 Vegas nightclubs have a zero tolerance policy when it comes to illegal substances. And they display their no tolerance signs everywhere in the club. And again – it doesn’t matter how much you spend either. Even if you have the biggest reservation at the nightclub and you have drugs on you (or if the club catches you doing them) you’ll get kicked out, and the authorities will be called. Not only that, but you’ll still have to pay the full amount of the table minimum spend anyway (even you if you haven’t spent it all yet). Now if you think that security won’t catch you, I strongly encourage you to reconsider. The security staff at all venues is expertly trained to spot drug use. Clubs often do physical searches as well. And there are cameras everywhere. 11. The headliner is on stage the minute the club opens. Let me start by saying that there will be a DJ at a club when it opens, but it won’t be the headlining act. If the clubs had their main attraction starting at 10:30 pm then people wouldn’t stay nearly as long. And that would mean fewer profits for the Vegas nightclubs. So when does the talent (DJ or performer) take to the stage? Well, it depends on the Vegas nightclub, but 1:00 am is an average across venues. You can expect the headlining DJ to perform for about 1 – 1.5 hours. Performers though (like Drake and Cardi B) won’t be on stage nearly as long and will instead give a mini-concert for about 20 – 30 minutes. There will be music all night long though as a house DJ performs before and after a club’s headliner. 12. The price quoted for a table is the total amount you’ll pay. Nope, not even close. The price quoted for bottle service reservations is the minimum spend requirement only. There are also three other fees that all clubs charge and they’re quite considerable. These fees add up to roughly 35 – 37% of the spend amount, so you’ll want to add this percentage to any quote you receive. All Vegas nightclubs charge around this percentage for the venue fee (may also be referred to as a service or admin fee), sales tax, and gratuity. For example, if receive a quote for $2,000 that means you’ll need to spend at least $2,000 when you’re at the club. If you spend precisely $2,000, then the total cost is $2,720 with an estimate of 36% for the additional fees. Can you get a discount on these fees? No. Getting a table that’s further from the action will not only result in a lower table minimum spend but the approximate 36% is calculated on a lesser spend amount yielding even more savings. To illustrate, if you got a table for a $1500 minimum spend instead of $2000, not only would you save $500 (the difference in the minimums), but the fees would also be reduced by almost $200 ($720 vs. $540). This would result in a total savings of $680. For a table price quote, please email us at info@vegasprimer.com. 13. Getting handsy with your cocktail server is fine. Inappropriately touching a waitress is one of the fastest ways to get kicked out of Vegas nightclubs and destroy the night not only for yourself but for your friends. Now we all know that cocktail servers in Vegas are gorgeous and they’re wearing close to nothing. But that doesn’t mean this is a free for all. You can’t grab women in the clubs. That goes for both the waitresses and any other club-goers. And it doesn’t matter one iota if you’re paying for bottle service or not. The same rules apply. Unfortunately, I’ve had this happen to me quite a few times. Lots of bum grabbers out there! So if this happens to you, talk to security. They’ll take care of the person causing you problems. And if you’re a gentleman, and someone is touching you inappropriately, by all means, report the person as well. 14. Vegas nightclubs are always packed. Alas, the city that never sleeps can be slow AF. Especially during the winter months as there aren’t as many people in town. But just because the clubs aren’t as crowded doesn’t mean that it’s still not a killer time to come here. In particular, it’s a great time to score yourself a deal. If you want a discount on bottle service, we recommend planning a trip any time between November and February. Some of the best times to save are a week to two weeks before the Christmas holiday, a few days before New Year’s, and around Valentine’s day. Another perk to clubbing during the winter months is that guys may also get free entry on guest lists, particularly in December. 15. There’s seating for everyone at a club. Another myth that gets people every time. Without a table reservation at a Vegas nightclub, you won’t have any place to sit down if you’re a ticket holder or if you’re on the guest list. And no, there aren’t any bar stools or extra chairs anywhere. The only way to sit down is by reserving a table at the club. That’s why bottle service reservations are so incredibly worth it in our opinion. All this said some clubs do have outside areas where you might be able to sit down on a planter box or a ledge. I know it’s not ideal, but it works in desperate times. And then there are some clubs like XS and EBC Nightswim that have gaming tables. So if you’re up for some gambling, you’re free to stay at the gaming tables (and sit) for as long as you’re playing. 16. You can move tables if you exceed your minimum spend requirement. Unfortunately, a club will not upgrade you to a better table location if you exceed your table minimum at the nightclub. For this reason, we recommend making a reservation for the amount you know you’re going to spend so that you get the best seating possible. However, on some nights, if tables become available later on in the night (like if people have left), a club may move your group. This sometimes happens at Marquee when they close down the outside area and move everyone into the main room. If you arrive at a nightclub early enough though and aren’t happy with your table location, there may still be time to upgrade your table. At Lavo brunch, for example, table changes happen fairly frequently. Keep in mind that you’ll need to pay the difference in the minimum spends if you want to switch. 17. You can get on a guest list at any time. Perhaps surprisingly, we get a lot of guest list requests after midnight. Unfortunately, though, it’s almost always too late by then to be added to a list. Not only do most list reservations close around 8 pm, but clubs stop letting guest list groups into the club around midnight. If you want to get on a club’s guest list, contact a promoter before 7 pm to allow enough time for the person to check their text messages and respond. And even if you’re not sure that you want to go to a club, it’s a better idea to get on a list just in case than to wait until you know for sure where your evening is headed. 18. If you’re denied guest list entry, it’s your promoter’s fault. There are numerous reasons why you might not get into a club even if you’re on a nightclub’s guest list. And shocker! None of them have to do with your promoter. Here are a few reasons why you might get denied entry. Sometimes too Vegas nightclubs won’t tell you the exact cause. 19. Table locations are guaranteed. That said, at clubs that take deposits for tables, the chances are extremely low that you won’t get the table you reserved. We’d estimate that there’s maybe a one or two percent chance that it might change. So I wouldn’t worry too much about your table location changing if you’re paying a deposit. Just be sure to get there on time, and you should be fine. Let’s take an example. Here’s dance floor table pricing from a night in January at one Vegas nightclub. In this example, the club is stating that dance floor tables will most likely range from $3000 – $3500+. The range is for the location, so if you booked a table with a $3500 minimum spend, then your table will be a better (more central) location than a $3000 spend. So let’s say you don’t care what table you get just as long as it’s a dance floor table, so you go with the lowest minimum ($3000). But when you arrive at the club and check in for your table, your group gets sat at an upper dance floor table instead. How did that happen? Well, again, table locations are “request only” at some clubs. And although a nightclub does it’s best to quote pricing as accurately as possible, anything can happen. For instance, on this night, in particular, an NFL team came to the club and bought up the dance floor tables. So what can you do to give yourself the best chance of getting the table location you want? Well, there are two things. 1) Get to the club early (10:30 pm). 2) Make a table reservation for the amount of money you’re willing to spend. If you’re going to buy at least $4,000 worth of alcohol, then make the initial reservation for that amount. In our above example, if you would’ve made the reservation for a $4,000 minimum instead of $3,000 you would have significantly increased your chances of getting a dance floor table. These are our two best strategies for “locking in” a table location (as much as possible) at Vegas nightclubs that don’t take deposits. 20. Guest list and ticket entry are guaranteed. Because of this, we don’t make any guest list reservations on a Calvin Harris day or night. Instead, we recommend purchasing tickets online. We make this recommendation because if you’re on a list and it gets canceled, you’ll have to pay a cover charge at the door. And the price is no joke. The cover could be two to three times higher than if you had purchased your tickets online in advance. Other times, a guest list may be limited to the first X number of people. This happened last year on a holiday weekend at Encore Beach Club. Only the first 100 ladies received guest list entry. If you arrived after 9:45 am, you didn’t make it in time, and you had to pay $100 for admission. Okay, that’s the guest list, but what about tickets? Well, even if you have a ticket, there still isn’t a guarantee for entry. On all Vegas nightclub tickets, there’s an arrive by time listed. You must arrive by this time for guaranteed entry. If you come later than this, then the risk is that the club will have already reached capacity and you won’t be allowed inside the venue. Also, sometimes things happen that are beyond a club’s control (like lightning at a nighttime pool party). When this happens, management will close the club entirely. 21. You can wear what you want (if you have a table reservation). Most Vegas nightclubs adhere to a strict dress code. Typically, you’ll find that men wear dress shoes, slacks, and a collared shirt while ladies are in dresses and heels. Many clubs prohibit certain items in their fine print. For instance, at the majority of places, there’s no way you’re getting by security wearing sneakers or work boots like Timberlands. You’ll also want to stay away from sunglasses, shorts, flip-flops, and wife beaters. There’s one Vegas nightclub though that’s a bit more lenient in what bottle service guests can wear and that club is Light at Mandalay Bay. This Vegas Nightclub is more in tune with today’s fashions and gives the green light to many modern looks. Case in point, you’re free to wear jeans, t-shirts, sneakers, and work boots. Even torn clothing is okay (and that goes for both men and women). Just check out this photo at Light, and you’ll see some casual looks. 22. You don’t need to tip girl-guys. First, what’s a girl-guy? A girl-guy is a nightclub VIP host that finds people to party with bottle service guests. Let’s take an example. Pretend that you’re a group of guys and you want to invite women to your table for some drinks. Instead of waiting for ladies to walk past your booth and asking them to join you, you can enlist the help of a girl-guy, and they’ll scour the club for you. Now it can be a lot of work for the girl-guy. They have to search the club for the ladies, approach them, and ask if they’d be interested in joining a table. They may even need to reach out to other Vegas promoters to bring more ladies to the venue if the type you’re looking for isn’t in abundance at that particular moment. All this to say, a lot of effort may go on behind the scenes. It’s a nice gesture to tip girl-guys for their efforts. 23. Showing up at the club intoxicated is okay. I get that we’re all here to party, but if you show up drunk, you won’t make into the club. This goes for everyone including bottle service reservations. You’re not getting through security. If you do want to drink before going to the club, it’s a good idea to pace yourself early in the night so you won’t have any issues at the door. Being loud or rude to the staff are typically tell-tale signs for security to turn guests away. 24. Tipping your cocktail server is optional. Some clubs have an automatic gratuity, so you won’t have a choice as to how much to tip. The percentage may be anywhere from 15 – 20%. Of course, you can always add an extra gratuity for the server or busser if you’d like. Other clubs though will leave the tip line blank and let you fill in the amount. If this is the case at the club you’re at, please don’t leave this line empty or write a big fat zero. Bottle service guests should tip at least 15% for the waitress. 25. Getting drugged at Vegas nightclubs doesn’t happen. Unfortunately, there are some people in the clubs that are up to no good. And they can be anywhere – at a table, standing at a club’s bar or outside on a patio. All it takes is one glance away from your drink, and you could fall victim to someone trying to take advantage of you. So how do you protect yourself? Well, what I like to do is this: whenever I walk anywhere in the club or whenever my eyes are away from my glass, I always cover my drink with my hand. And I never accept a drink that I didn’t see poured. But even if you do see who poured your glass, there have been times when bottles have been drugged at a table, so just be careful and watch what’s going on. If you see anyone tampering with bottles or doing anything shady, report it to club security immediately. 26. Tables will have enough seating for everyone in your party. At most Vegas nightclubs, when you receive a bottle service quote, the table options will have a maximum number of guests listed. For instance, here’s sample pricing from XS Nightclub. Now you might think that the guest quantity means that there will be enough seating for that many people. So, if you got a back wall table, then eight people will be able to sit comfortably. This, however, is not the case. The guest quantity is related to the minimum spend only. Essentially what the club is saying is that this spend amount is valid for up to X number of guests. Now to me, this isn’t that big of a deal because I don’t want to sit down the entire night. But to other people, I get that it may matter. If you want to make sure that you have enough seating for everyone, consider upgrading to the next size table. For instance, the 3rd tier couch will fit a group of eight much more comfortably than a back wall table. At almost all Vegas nightclubs, you’ll find that tables won’t provide enough seating for the maximum guest quantity listed. 27. Solicitations for (you know what) are legal in the clubs. Although certain counties in Nevada have legalized the p-word, it’s against the law in Las Vegas. But that doesn’t mean that you won’t get propositioned at the clubs or even in the hotel lobbies in Vegas. Be extremely careful to whom you’re speaking with unless you don’t care about spending time in jail. 28. As long as you arrive by the guest list cut-off time, you’ll get in. When you receive a guest list confirmation, there’ll be a time frame listed. For instance, the text might state that a club’s guest list is open from 10:00 pm until midnight for even ratio parties. Seems easy enough, right? Well, here’s where a lot of people go wrong. They’ll see midnight as the last entry time and think that as long as they arrive at midnight, they’ll get in. Unfortunately, this may not be the case. You must be at the front of the line by the last entry time to make it inside the venue. So if the guest list line is longer than a few people, you won’t make it inside the club. We recommend arriving at least one hour before the cut-off time to ensure entry. And, in the summer, don’t risk it. Get to the club as close to club opening as possible. 29. Staying in the same hotel as the club will get you a discount on bottle service. More often than not, the clubs and hotels are owned by different companies. Because of this, you won’t find discounts on bottle service just because you stay at a particular place. 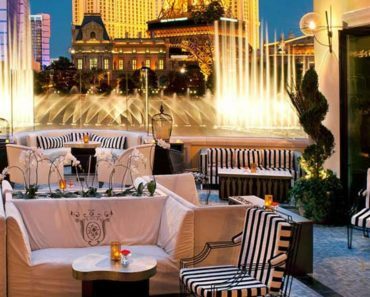 And even if the hotel’s parent company owns the club (like the Wynn properties), you’ll be hard pressed to find discounted pricing for bottle service at their venues either. Now there may be some perks like getting on the guest list by calling down to your concierge. Or the hotel may offer an expedited ticket option for hotel guests. Discounts on bottle service for staying at a particular hotel though aren’t a common occurrence. In fact, the only time we’ve seen a hotel provide a discount is when a person spends a lot of money on gambling. For instance, MGM once gave a gentleman a complimentary table at Hakkasan (which he took full advantage of by ordering over $100,000 worth of bottles). But those are the one-off exceptions, and we’d say that man must’ve spent some mega amounts gambling because there’s no way a hotel would take a hit like that if they weren’t making bank. 30. There’s a limit to how many people can be on a Vegas Nightclub’s guest list. But as long as you get on a guest list before it closes that day, you’ll be just fine. Typically, nightclub guest list reservations close around 8:00 pm. Of course, there is a capacity limit at all clubs so you’ll want to get to the club early to ensure entry. And remember that Vegas nightclubs have a guest list cut-off time too. It’s usually midnight for even ratio and 1:00 am for ladies. 31. You must book bottle service reservations months in advance. I love planners (the people, not the books). I’m one myself. So I appreciate and understand the desire to get a trip on the books well in advance. But, when it comes to Vegas nightclubs, you can’t make a reservation too far out. Why? Because the clubs haven’t determined the pricing yet. Typically, you can expect bottle service minimums to come out about two to three months ahead of time. So if you’re coming in July, pricing will be out by May. And that’s still PLENTY of time to book. Case in point, most clubs don’t sell out until the night of, so even if you book a few days in advance, you’ll be just fine. There are some Vegas nightclubs though that may increase their pricing as the date approaches. With these clubs, booking when pricing first comes out is ideal. For a bottle service price quote or to make a reservation, please email us at info@vegasprimer.com. We have a lot of love for this article as your questions inspired it. Almost daily we receive emails from clients confused about how the Vegas nightclubs work. In writing this post, we took extra care and time to make sure we covered every misconception we could think of, and we hope we cleared some things up for you! If we can help you with a table reservation in Las Vegas, feel free to email us at info@vegasprimer.com or text us at (702) 816-6738 for a price quote. We’re also available on WhatsApp. Did we miss anything? Please let us know in the comments below. Due to the volume of requests we receive, we can only respond to emails about bottle service reservations. We include all of our general club knowledge on our site. Thank you!